ERBIL, NORTHERN IRAQ (ANS – September 30, 2016) — First he was run over by a US tank, then ISIS forced him to flee his monastery in northern Iraq. 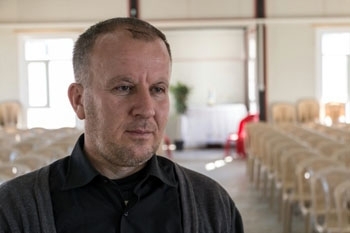 Raeed, a monk from Qaraqosh, eventually established a temporary monastery in a refugee camp in Erbil, where he has become an inspiration to many, according to a report by World Watch Monitor (https://www.worldwatchmonitor.org/). In 2001, Raeed answered a call from God to become a monk and joined four others in a small monastery. But life changed dramatically after the US-led coalition moved into Iraq. He was in a taxi with another monk on his way to Baghdad, when they unexpectedly collided with a US tank. There was a horrible crash and the awful sound of crunching metal as the tank seemed to come out of nowhere and drive over part of the taxi, according to WWM. Tragically, the accident killed the other monk in the car and left Raeed in a coma. When he emerged from the coma and realized he was the only survivor from the accident, it challenged his faith as never before. He didn’t understand why God would allow such a thing to happen after he dedicated his life to ministry. “But what happened [in the end] deepened my faith. It brought me back to my calling. I’d promised to obey Jesus, and He said ‘Whoever follows Jesus should not look back,’” he told WWM. On August 6, 2014, Raeed found himself caught up in the invasion of Qaraqosh by ISIS. On the morning of the invasion, he and several others were gathered for silent prayer. Suddenly the sound of honking horns and explosions shattered the silence. He ran to the window and was startled to see cars lining up to evacuate the city. What many feared had come true: ISIS was invading. Photo captions: 1) Raeed at temporary church in refugee camp in Erbil (World Watch Monitor) 2) Church filled to capacity. 3) Mark Ellis. About the writer: Mark Ellis is Senior Correspondent for the ASSIST News Service (www.assistnews.net), and also founder of www.GodReports.com, a website that shares stories, testimonies and videos from the church around the world. 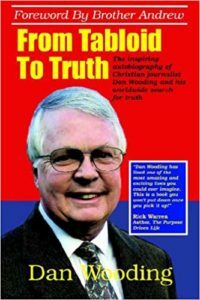 He is also co-host for “Windows on the World” with ANS founder, Dan Wooding, which is aired weekly on the Holy Spiriti Broadcasting Network (http://hsbn.tv). Is the two-year-old snatched by alligator in heaven?